One of the world’s largest digital travel companies extends their commitment to Inclusion and Respect to all their 640,000 hosts and 2.3 million users. With this, Airbnb is maybe having – in terms of sheer numbers – the largest impact on global citizens ever. D&I initiatives used to be common at J&J’s production site in Geel, Belgium, for many years. 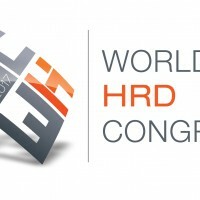 Posters, events and training were well received – but not necessarily connected to everyday business, leadership behaviour or the overall growth agenda. A new strategic approach of the site management team has led to significant traction on D&I – within just six months. Eine schlechte Unternehmenskultur geht mit einem deutlich höheren gesundheitlichen Risiko für Mitarbeiter einher. Dies ist ein Ergebnis des aktuellen Fehlzeitreports der AOK. 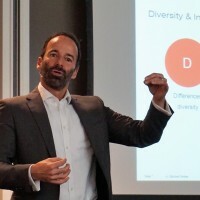 Es bestätigt die Bedeutung der Unternehmenskultur für die Produktivität eines Unternehmens als Teil der Wirtschaftlichkeit von Diversity Management. BusinessEurope, the EU-level association of Employer’s Federations, has issued another document promoting Diversity Management. The brochure contains seven practices from members associations and individual companies, including Solvay, Infineon or Telefonica, that were presented to EU Commissioner Jourová earlier this year.